Physical to digital transitions made easy! Why Hub ? - or - Hop on the Hub ! NFC Tags are essentially battery-less microchip that contain small amount of data that can be accessed when a NFC capable phone is brought in it's close proximity. QR Code are 2D barcodes that contain data that a smartphone can easily read. These are very simple to use technologies, that have existed for a while & have gained consumer interest with proliferation of internet connected smartphones & tablets. Typically these tags contain a web link that a smartphone can access. Affixed onto a physical product, these tags help the customer to access the digital information for the product, without having to type web links in the mobile browser or download & invoke custom mobile apps. NFC Tags are rewritable. So a NFC writer, which could also be a smartphone, can change the tags content, accidentally or intently. NFC Tags can be made read-only to prevent rewriting. But the disadvantage of doing that is that the tag's owner can't change it's content further. A QR Code's content can't be changed once it's deployed. Also large amount text encoded in a QR Code makes it denser, thereby making it difficult & sometimes impossible to read by low end hardware. There are free tools available over the web & mobile apps that can create QR Code & can encode NFC Tags. Hardware to encode the tags exists, but is usually a skill & investment that doesn't pay off to the marketers. However, large scale deployment of these tags is hugely challenging. With human eyes it's nearly impossible to distinguish one tag from another. 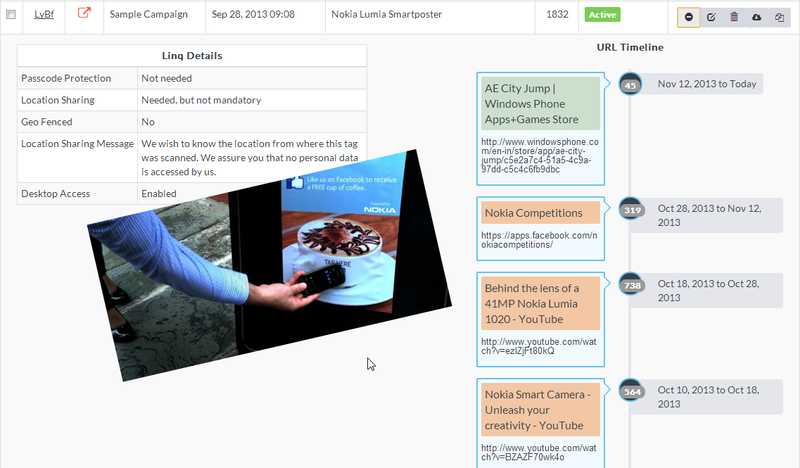 There is also meta data or properties associated with a tag that's difficult to map visually with a tag. 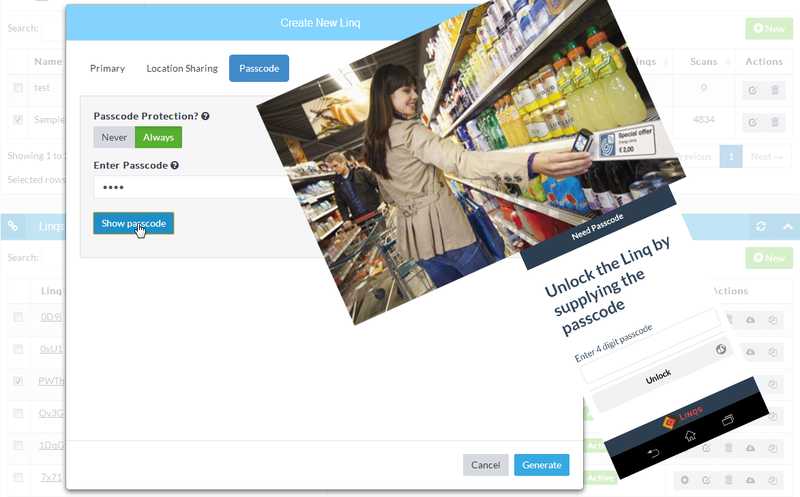 LINQS Hub is a cloud based, enterprise grade platform to create, manage & analyze NFC & QR Code tags based object hyperlinking. Checkout how Hub makes NFC & QR Code tags magical ! A campaign's content encoded directly in NFC Tags or QR Codes is very tough to change once they are deployed in the field. Imagine the difficulties in revising the content of a NFC Smart Poster or a QR Code in magazine. The Hub solves this problem by making the encoded content dynamic, which can be changed remotely, any time & as many times with just a few clicks or even on-site with a few taps. LINQS makes its possible to measure & analyze customer interactions with physical products. The Hub presents powerful visualization of the analytics data. With Hub you can derive insights on when, where & how customers are interacting with LINQS enabled physical products & infrastructure. Although each campaign's NFC Tags & QR Codes are unique but they are indistinguishable to human eyes. This creates problems when you need to deploy many of these in the field due to mismatch between the product & it's tag. The Hub solves this problem through deferred encoding of campaign's content through "Unconfigured Linqs". You would be able to deploy Linqs without configuring their content. The Hub enables you to produce Linqs that could be configured in the field through a Tap/Scan by a smartphone or through the Hub, after deploying them. 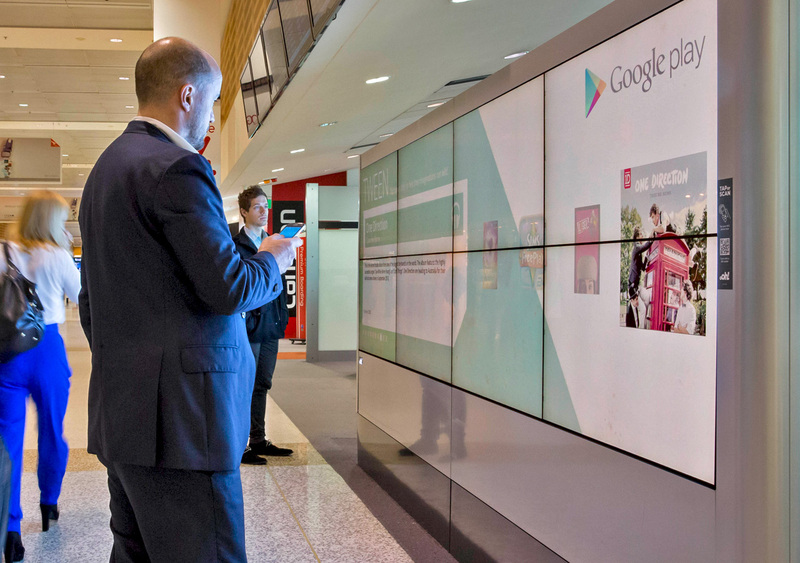 Smartphones offer you insights into the precise location of customer interactions. 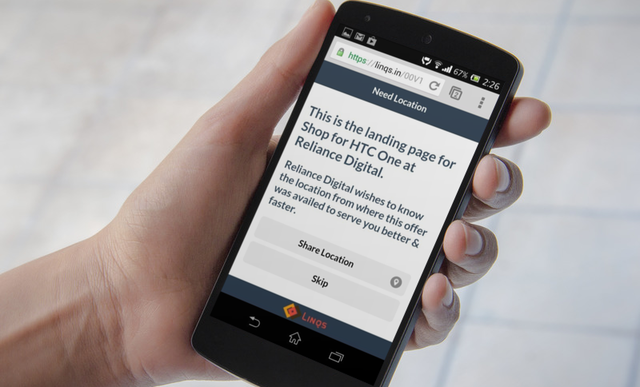 However forcing location-sharing on customer leads to backlash. You should be able to know the location of your customers but not without respecting & addressing their privacy fears. The Hub enables you to create Linqs with optional or mandatory location sharing along with a custom location sharing message landing page that helps you to convince them of it's utility. Want foolproof proximity marketing? The Hub enables you to create geo fenced Linqs that are accessible only if your customer is within the geographical fence you have defined. 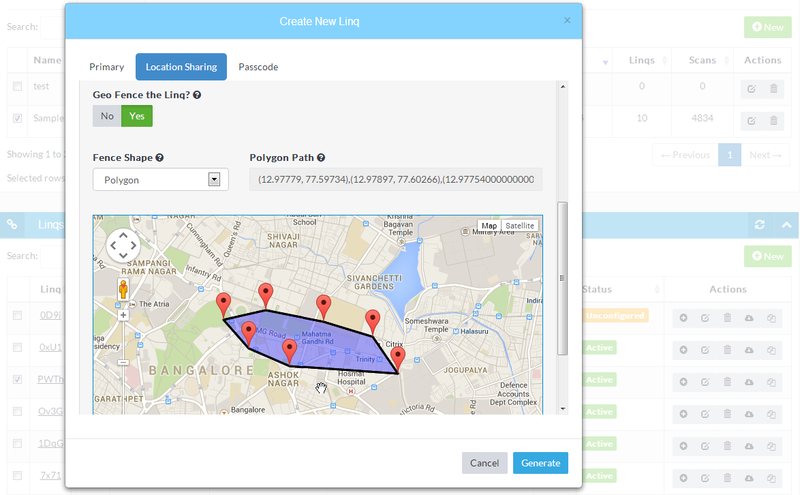 LINQS makes use of HTML5 based geo-location fetching. This allows proximity marketing without the customers needing a specialized mobile app. What if your customers could access your product's digital content on their smartphone & mark it to view later from the comforts of a desktop computer? This is akin to bookmarking hyperlinks in the real world to view them later on a bigger screen! The innovative Push-to-desktop is the equivalent of read-it-later service for the real world. A big advantage of doing digital marketing in physical spaces using the Hub is that not only the tag content can be changed anytime & from anywhere, the Hub maintains the content history & can automatically schedule the content changes. This also presents a unique way for marketers to A/B test their campaigns using smart-posters. The Hub allows you to create Linqs that would display the content to a customer only on providing a passcode. It's a simple way to unlock content on possession of a key. These keys are typically coupon codes that marketers use to reward loyal customers & generate interest through serendipity. LINQS Hub is currently limited-preview & invite-only. Can you tell us something about yourself & your intended use of the Hub? Your inputs would be valuable for us to tune the product closer to customer needs.